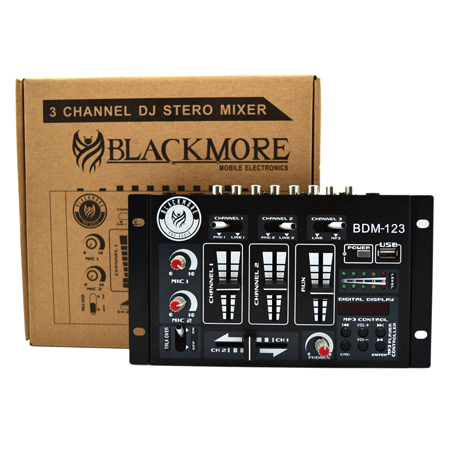 Introducing Blackmore's latest product the BDM-123. A simple, but unique DJ mixer,that will make an exponential asset to your DJ set . Manipulate music with the controls on your DJ MIXER to give your audience the best time they will ever experience. You will enjoy a complete range of performance essentials on the BDM-123 , including three channels you can control,MIC adjustment,usb port, mp3 control, talk over and Etc. It also plays back MP3s, - just plug in a USB stick with some music on it. Mic talkover switch makes it easy to dim the music while you speak. Use crossfader to mix between your inputs. 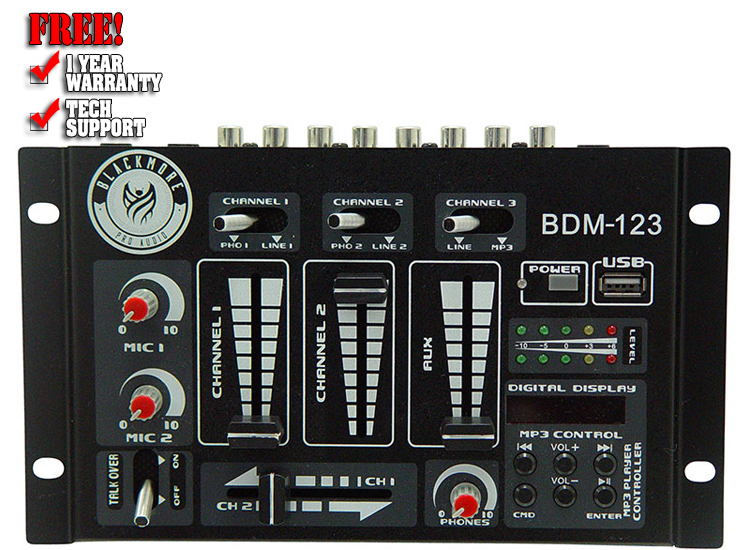 BDM-123 comes from a sophisticated audio company that grantees great performance. 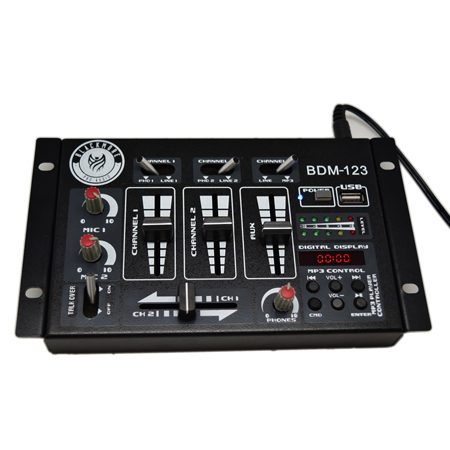 The BDM-123 is great for any kind of social event, get lost in the music and let BDM-123 handle the rest!